OASIS of the SEAS, 2009 SOLD OUT, email for new reissue waiting list placement. 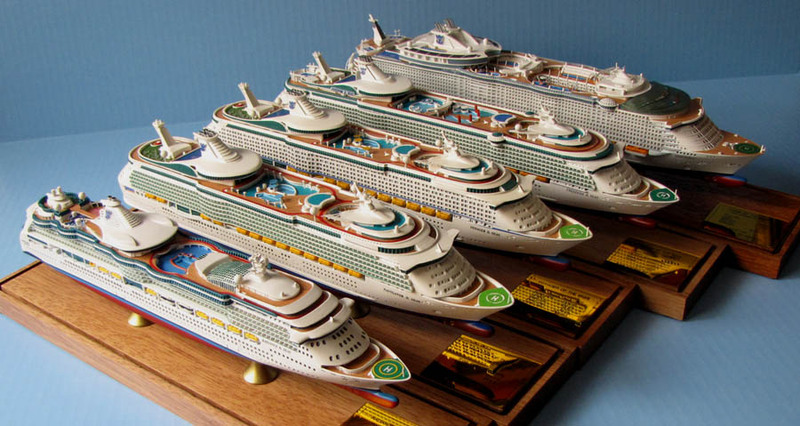 ALLURE of the SEAS, 2010 SOLD OUT, email for new reissue waiting list placement. 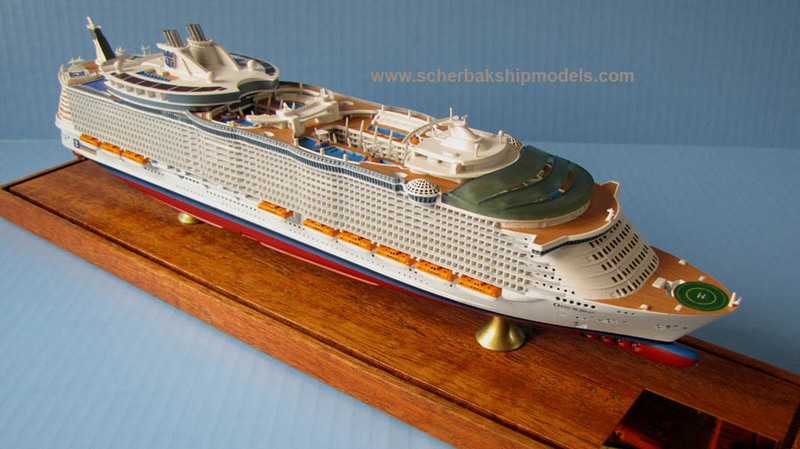 Item Description: Beautiful Display Series full hull cruise ship models in scale 1:900. Expertly designed to exact hull lines, architectural proportions and details, so you can find and mark your balcony or cabin window, or your favorite spot on the ship’s deck. Made of cold cast resin, hand assembled, hand painted. Details include recessed windows and balconies, solid brass propellers, life boats, deck gear. Encased, with wooden base on protective pads, solid brass mountings, name/data plaque and clear high grade acrylic cover.